Make this comfortable three bedroom home your new nest. This tree-top home features an eat-in kitchen with granite counters, stainless appliances, in-unit laundry and charming built-ins. Enjoy the updated bath, wide plank hardwood floors and crown molding throughout. Sun-filled condo has been Certified Treated for lead and is pet-friendly. Off-street parking for one car and storage in basement. A great opportunity for first-time home buyers or investors. 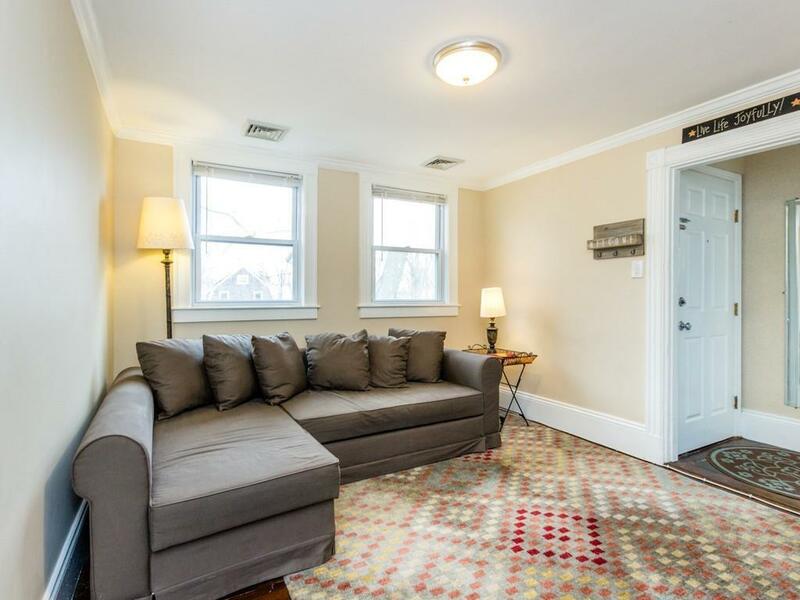 Short walk to the shops, restaurants and Farmer's Market of vibrant Roslindale Village and close to the bustling West Roxbury Centre Street area. Easy access to commuter rail and bus service. One block to Fallon Field, with its new playground and large grassy field. Offers, if any, due Tuesday by 2:00 pm.